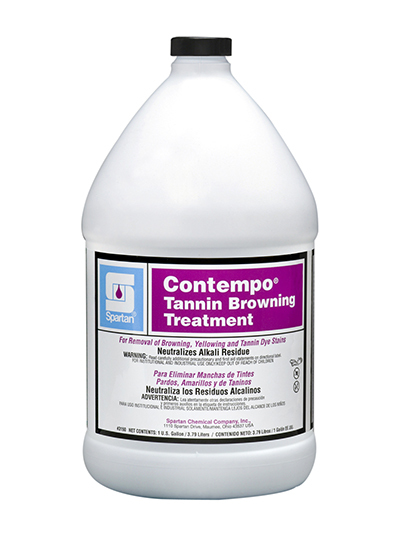 Contempo Tannin Browning Treatment is a mild acidic product that safely removes browning, yellowing and water spots from over-wetting. It is also an effective neutralizer for carpet yellowing from alkali residue. Designed for quick stain lifting action, Contempo Tannin Browning Treatment addresses the most common spotting obstacles encountered when cleaning carpet.